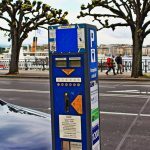 On 1 October 2015, fines in Geneva went up massively. According to Tribune Genéve, the increases are expected to put an extra CHF 3 to 4 million per year into Geneva’s public purse. The increases impact a myriad of things including driving and parking infringements and excessive noise. For example the fine for driving in a bus lane increased from CHF 60 to CHF 200, and the maximum fine for excessive noise in an apartment went from CHF 100 to an eye-watering CHF 1,000. The average increase across all offenses is 20%. Canton representatives said that this 20% increase since 1996 is not much above inflation, which was 13% over the same period. The excess was justified by not wanting to have to make changes every year – in effect adjusting for inflation in advance. Last year Geneva issued a total of around a million fines. Noise control responded to 6,000 complaints. Fines for excessive noise will rise from CHF 100 or CHF 150, depending on the type of noise, to CHF 1,000. If you organise a loud dance party in your apartment and several people call the police the fine is now CHF 300. If you wake up everyone in your building then the fine rises to CHF 1,000. A lot more than the old maximum of CHF 150. 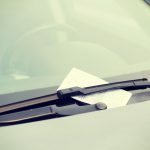 Fines set at a federal level are not affected. These include most speeding offenses and infringements covered by federal driving laws known as Via Sicura. Read full Tribune de Genève article here. What do you think of this move? Will it improve the lives of Geneva residents or just make them poorer? After geneva stated that they will not balance their budget and make 240 million CHF debt of course they have to find other ways to stuff the budget hole. I am just disgusted that geneva has not managed to balance it’s finances the last 20 years and has one of the highest debts of all the cantons…..
Shame on the geneva government!!! But Geneva still will not address a major noise problem – unmuffled motorbikes! The fines have been increased for non-compliant exhausts too. And what about Ambulance and Police sirens that blare out every night in Geneva when there is no traffic on the road at all – we are woken up several nights each week, sometimes more than once, at 02.00 – 04.00 in the morning. Sirens and motor bikes are the two worst problems. Even the Canton’s own offices book contractors to do work outside our apartment that starts at 6.00AM. Who do you complain to then I might ask?